When the gardening’s done, sit down and relax. 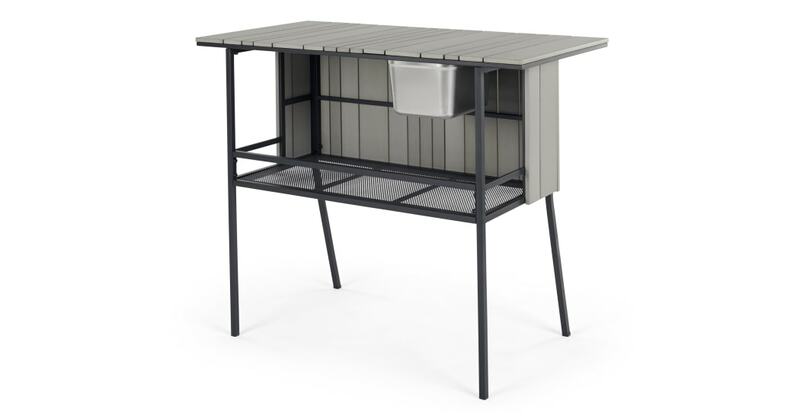 Sure to bring a modern feel to your garden, the Catania bar will elevate your hosting space. The perfect piece for your guests to gather round, now you can finally showcase your beautiful garden. Designed with clean lines and a sophisticated colour palette, these minimalist bar is fitted with a lidded ice bucket and shelving for serveware. It’s all you need for summer barbecues and hosting al fresco. Catania is a considered design that’s perfect for enjoying those warm summer nights with the matching garden bar. It's built to endure the weather too – just remember to cover it or take it inside during heavy rain.